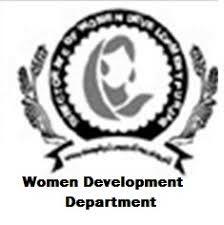 Islamabad: The United Nations Development Programme (UNDP) in its National Human Development Report (NHDR) stated that women literacy level observed stark discrepancies in the country. According to the report, the austere disparities in literacy levels had appeared across different segments in Pakistan between more and less developed regions, male-female, and urban-rural. To utter astonishment, Youth literacy varies from 94.5 per cent in Islamabad to 39.9 per cent in Fata while Fata and Balochistan have the lowest female youth literacy rates, 13.6 and 29.9 per cent respectively; Islamabad and Azad Jammu and Kashmir (AJK) have the highest, 92.9 and 82.8 per cent respectively. The comprehensive survey discovered that similar disparities exist between rural and urban areas. The literacy rate for 10 years of age and above is 25 percentage points lower in rural areas compared to urban areas. The relatively higher illiteracy rates for vulnerable categories such as women and rural dwellers indicate the intense deprivation of education. This also affects people’s ability to make informed choices, it added. The above facts indicate important challenges for how education is considered from a human development perspective, how education is measured, and what policies will improve outcomes and processes over time. It is pertinent to mention that with a youth literacy of barely 70.7 per cent; Pakistan is surpassed by other South Asian countries particularly Maldives, Sri Lanka, Nepal, India, Bangladesh and Bhutan. It is believed that overlapping dimensions of inequality along with income, location, and gender had reinforced the education disadvantage for Pakistan’s mushrooming youth population. Regional differences within the country, whether between provinces or between rural and urban areas, strongly affect access to education and primary school completion rates. 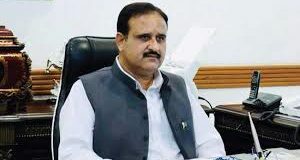 For example, almost twice as many children from Balochistan, 47 per cent, never attended a school, compared to children in Punjab i.e.24 per cent. Similar disparity is visible between rural and urban areas as 37 and 19 per cent respectively. 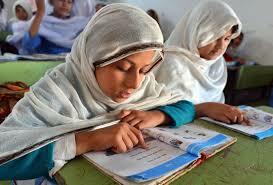 Income, gender and disability further reinforce the inequalities in access to education for Pakistan’s youth. Despite a wide range of policies, a quota system, special funding schemes and scholarship programmes aimed at making education more inclusive and increasing access to under-privileged groups, the enrolments present smaller percentages from the lower social strata. Wealth inequality plays an important role in keeping individuals in and out of school. As Malik and Rose (2015) note, gender inequities exacerbate wealth inequities at least in rural communities, where among poor children, 74 per cent of girls have never been to school compared to 55 per cent of boys. However, there is no gender gap among urban children from wealthy families. Overlapping geographical, wealth-related, and gender inequalities increase when children enter school  only 15 per cent of poor rural girls complete primary school, compared to 40 per cent of their male counterparts. Pakistan’s Annual Status of Education Report (ASER) 2015 finds that children (3-16 years) from the poorest quartile, regardless of location, are twice as likely to remain out of school compared to the richest. Girls from poor families are 20 per cent more likely to remain out of school than their male counterparts i.e.32 per cent females are out-of-school overall compared to the male rate of 52 per cent. Many participants at the National Youth Consultations expressed concerns about the cost attached to obtaining higher education (fees, books, and transportation). All these essentials being unaffordable deprive them access to higher education, the report added.